This article originally appeared on CreativeTimes.co.uk. Facebook Reply has been visible on a selection of Facebook pages for the past few months but it was only until last month did it roll across the whole of Facebook. 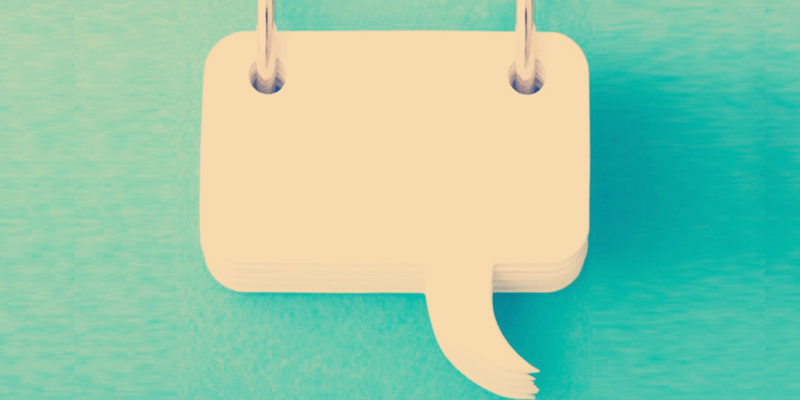 For those working within social, the new ‘threaded comments’ feature has been both a blessing and a curse in its first few weeks and has forced a re-think of how community management can be undertaken. Previously users commenting on a brand’s post would see what they’ve written merged into an ever growing stream of statements from other users. For smaller pages dealing with only a handful of comments a day this wasn’t an issue as the community manager and fellow fans could easily interact with each other without losing track of what was being discussed. For bigger pages dealing with hundreds or thousands of comments per post it made creating a conversation between users or brand difficult and made genuine conversation impossible. The new ‘Reply’ feature on Facebook is in theory an easier way for page owners and users to respond directly to an individual facilitating more user interaction and better customer service. This new feature in itself is a perfect addition to the repertoire of tools the page owner has at their disposal and will over the coming months see an upsurge in activity across brands willing to turn the feature on (As of May the ‘Reply’ feature is still optional across brands). Alongside this rollout Facebook however added another feature which has changed how posts are ordered which is causing headaches for community managers on active pages. Active-thread sifting now sees comments on a post placed in order of the most active with comments which receive more likes and replies being placed higher up in the conversation thread. While in theory this new method of structuring Facebook conversations seems a logical continuation of what we are already seeing elsewhere on the internet (those familiar with Reddit will already be familiar with this style of up voting) the problem it presents for community managers is one of moderation. In a post thread with only a dozen comments, keeping track of what is being said is relatively easy but for larger brands dealing with hundreds of comments using Facebook’s inbuilt moderation platform the new active thread sifting now means comments are being placed on a constantly rotating order. For a moderator this now means constantly checking the entire thread for new posts which need to be removed, be it offensive, or spam related. This way of working is laborious, time consuming and open up for error with the possibility for offensive material slipping through increasing as the post develops more traction. All of this may have been avoided with updated moderation tools by Facebook but unfortunately the current toolkit available means you are unable to breakdown what a user is posting either in notifications or the activity log. So what are the solutions at hand for those thinking of turning on ‘Facebook reply’ and anxious about the above? • I’ve heard people say that a community manager’s job is 24/7. While that may be a bit excessive the ‘Reply’ feature now means you must ensure your attention is focused solidly on managing the conversation of your page, especially in the first hour of your post when the most comments are likely to occur. When removing or stopping potentially offensive threads make sure you are transparent by referring users to the house rules which should be easy to find and clear to understand. • Brands over the last year have become focused at driving engagement through direct calls to action including asking fans to share, like or comment on posts. With ‘Reply’ and active thread sifting conversations on Facebook are becoming more developed and the consumer relationship with a brand has a opportunity to become more personalized. Try encouraging users to discuss their opinions with the brand and most importantly with each other and see in turn the creation of a ‘Tribe’ based on the mutual shared interest your page provides them. • The most important thing is if you don’t have the budget to get third party moderation software or have the capability to moderate effectively using Facebook’s tools then turn off the ‘Reply’ function until you are ready. While you may not see as much active engagement from the community the damage to the brand through spam and unanswered queries is not worth the associated risks at this present time. The latest rollout from Facebook will definitely be a game changer and will mean over the coming months a radical change in how pages are run which will be a boon to those brands who take an active interest in their social media activity. What future tools Facebook will bring to enhance this has yet to be disclosed but we can only expect in the coming months closer integration with their analytics to provide more detailed breakdown of conversation now taking place.